There are several ways to travel depending on our budget. There are some travellers for whom money don’t matter if it comes to accommodation. The primary issue is to be in luxurious conditions. In the list below even the cheapest suite costs more than 5 million forints, however these suites are never unoccupied. With its giant windows and monarchical furniture this 2500 sq (237 m2) suite gives a pleasant experiance for the visitor. 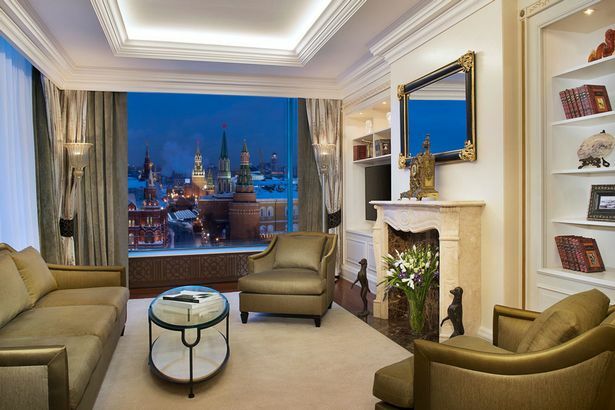 Heated boarding, a piano and a library is all part of this private paradise that has a marvellous view on the famous Red Square and on the St. Basil’s Cathedral. It costs $18 200 per night.